Sat., 15 Jun. - Sat., 22 Jun. Wed., 3 Jul. - Wed., 10 Jul. Wed., 15 May - Tue., 24 Sep. Sat., 31 Aug. - Tue., 3 Sep.
Fri., 21 Jun. - Sat., 29 Jun. Mon., 3 Jun. - Tue., 11 Jun. Wed., 3 Jul. - Fri., 12 Jul. Mon., 24 Jun. - Sat., 29 Jun. Tue., 25 Jun. - Tue., 25 Jun. Sat., 17 Aug. - Sat., 24 Aug. Thu., 20 Jun. - Mon., 24 Jun. Thu., 22 Aug. - Wed., 28 Aug. Sun., 25 Aug. - Thu., 29 Aug. Mon., 23 Sep. - Fri., 27 Sep. Mon., 3 Jun. - Mon., 10 Jun. 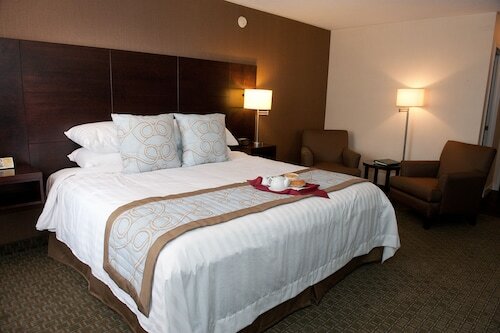 Situated in Charlottetown, this luxury hotel is within 1 mi (2 km) of Charlottetown Mall and University of Prince Edward Island. That Fun Place and Ardgowan are also within 3 mi (5 km). Situated in Charlottetown, this hotel is within 3 mi (5 km) of Charlottetown Mall, University of Prince Edward Island, and Ardgowan. Prince Edward Island Brewing Company and Eastlink Centre are also within 3 mi (5 km). 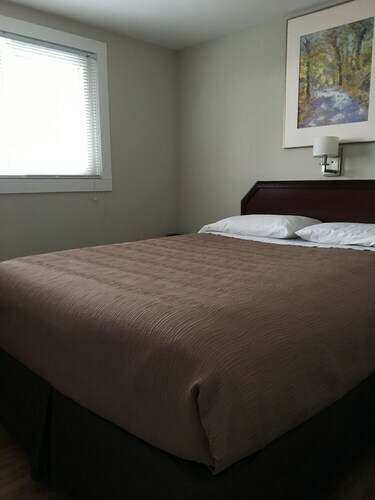 Situated in Brackley, this golf motel is 2.9 mi (4.7 km) from Charlottetown Mall and within 6 mi (10 km) of Prince Edward Island Brewing Company and Ardgowan. University of Prince Edward Island and Queen Elizabeth Hospital are also within 6 mi (10 km). 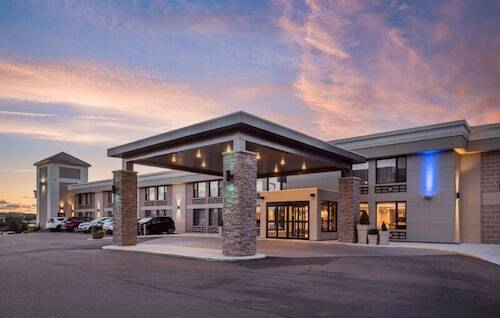 Situated in Charlottetown, this eco-friendly hotel is within 1 mi (2 km) of Charlottetown Mall and That Fun Place. University of Prince Edward Island and Ardgowan are also within 3 mi (5 km). 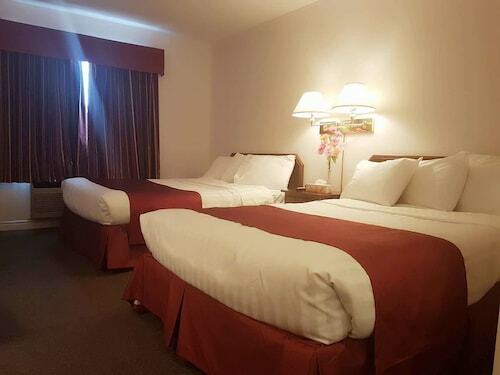 Located in the heart of Charlottetown, this eco-friendly hotel is within 1 mi (2 km) of Charlottetown Mall, University of Prince Edward Island, and That Fun Place. Ardgowan and Victoria Park are also within 3 mi (5 km). 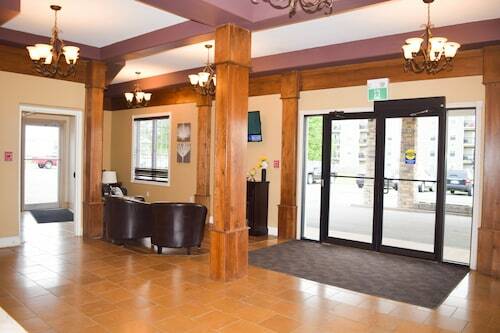 Situated near the airport, this hotel is within 1 mi (2 km) of Charlottetown Mall and University of Prince Edward Island. That Fun Place and Ardgowan are also within 3 mi (5 km). Brand new Modern Townhouse in Beautiful Charlottetown. Great Location!! Situated in Charlottetown, this vacation home is within 1 mi (2 km) of Charlottetown Mall, Ardgowan, and University of Prince Edward Island. Prince Edward Island Brewing Company and Eastlink Centre are also within 2 mi (3 km).